A place where all members of the community, can come together and work as one, to enable EVERYONE to find out what "Empowerment" means to them as an individual. My aim is to offer services, which are not available in many communities.Allowing a *Cafe/Bakers*(catering for many with allergies), with a soft play area (for all you children to play alongside each other, NO MATTER what their needs!). The income will support the main rent, in which will then hopefully prevent closure due to funding! ALLOWING A BREAKFAST AND AFTER SCHOOL CLUB TO BE ESTABLISHED,GIVING PARENTS AND CARERS THE CHANCE TO WORK (Lowing the cost of childcare and creating job opportunities) A YOUTH GROUP/CENTRE FOR ALL CHILDREN/ALL AGES TO ATTEND, KEEPING KIDS OCCUPIED AND ENTERTAINED WITH ACTIVITIES AND EXPLORE NEW HOBBIES (Trying to prevent anti social behaviour and other problems arising due to boredom). HAVING AN OPEN DOOR POLICY WILL ALLOW ALL MEMBERS OF OUR COMMUNITY TO POP IN. THERE ARE SO MANY SKILLED/TALENTED/QUALIFIED AND CAPABLE PEOPLE RESIDING IN THE AREA TO DELIVER EMPOWERMENT INTO THIS PROJECT! A PLACE THEY CAN TURN TOO,IN THEIR COMMUNITY, WHERE NO ONE IS JUDGED,THEY ARE EMPOWERED! EMPOWERMENT Is more than just a word, it is a FEELING! An open door opportunity centre, offering to Help,Everyone,Regarding,Empowerment. 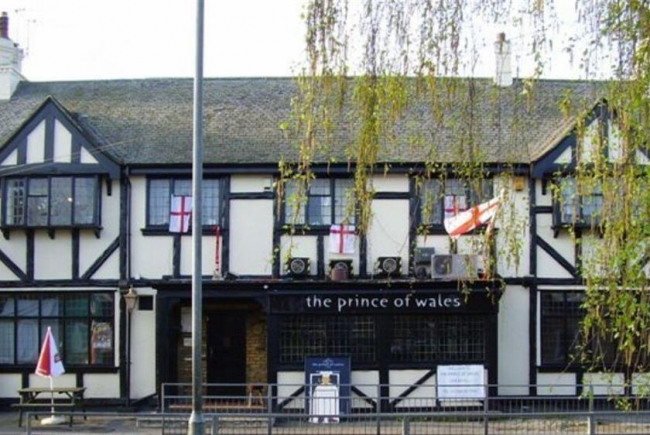 HELP save the old prince of wales public house, from being turned into flat! Having a place "H.E.R.E" could produce many local jobs and training opportunities to allow that feeling of Empowerment.having a soft play area inside (FOR ALL CHILDREN TO PLAY ALONG SIDE EACH OTHER AND NOT FEEL SEPARATE), I am willing to work along side a designer and come to an agreement that will work for all children to play. i know of many qualified and capable members of the community, to also help along side the authorities to HELP with the care for the elderly in the community too. With support from H.E.R.E, this could help with the elderly independent living services/ needs that are arising, in most areas due to local cut backs! The pictures i managed to take at a safe distance, show that a water pipe has ruptured in the roof area,causing damage and damp from roof to cellar, leaving at least 4-6 inches of stale water laying dormant in the cellar. the ceilings have fallen, flooring is unsafe to walk on, this is just the start of what was seen.